can benefit you with discounts that help you save. on your Home and Auto insurance. You work hard. Your insurance should too. Thomas Insurance Agency, delivering quality insurance solutions to Individuals, Businesses, Farmers and Ranchers in El Centro, Brawley, Calexico and surrounding communities of Imperial County. 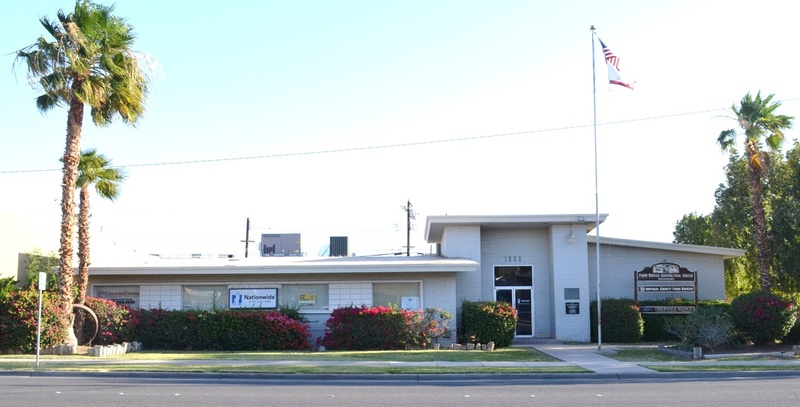 Located in El Centro California in the Imperial County Farm Bureau building for almost forty years. Our number one goal is to provide you with the insurance protection, tailored especially for your insurance needs and offer a variety of discounts to help you reduce that cost. Whether you are an Individual living in El Centro, a Businessman in Calexico or a Farmer or Rancher in Brawley, there are two main thoughts that come to mind about your insurance, “Am I paying to much?” And “Am I getting the coverage that will be there for me when I need it?” Call us today, allow us to do an On Your Side Insurance Analyses. You have nothing to loose, but a few minutes of your time that could make a difference. Combining your Home and Auto policies can benefit you with various discounts and additional coverage options that will provided the coverage you need. With all the responsibilities it takes to be a business owner, sometimes insurance is one things that is not on top of your list. Don’t wait till you have a loss to find out what insurance coverage you have. Get a comprehensive policy to cover everything from Dwellings, Farm Equipment and Supplies, Machinery and Tools, Farm Products such as baled hay, dates and Personal Property and your Farm Liability and much more.